Topic: Escadrille N°108 for "DBW1916"
France in 1915 to 1918. 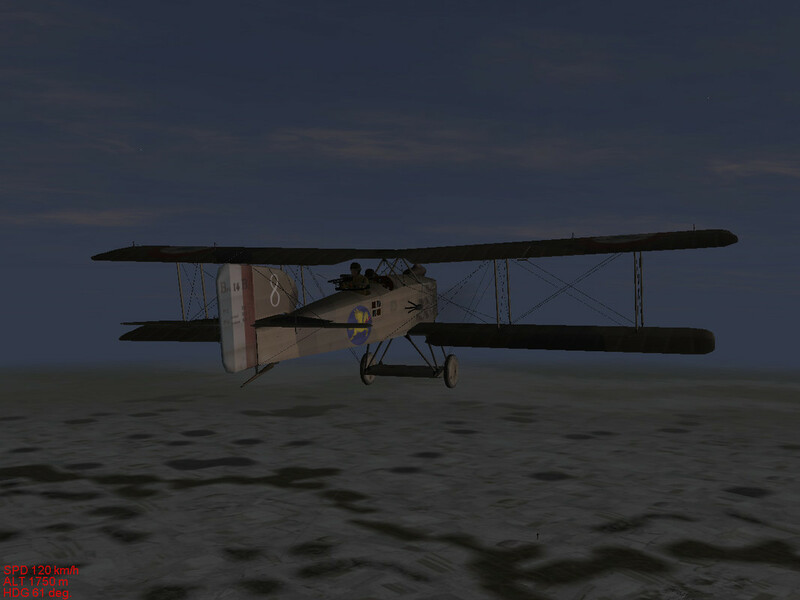 Taking a cue from a site dedicated to the French squadrons, I built this fictitious campaign of one of these Squadrons, the N ° 108, which changed its name in the course of the WWI, following the type of aircraft used, first VS from the Voisin III used then SOP from Sopwith Strutter and finally BR from Breguet BR XIV, the various missions are invented, while representing the typical missions of the squadron, and also in the descriptions of the missions all the names of the villages, forests and woods are invented, I apologize to the French players for my ignorance and arrogance, I hope that the skins in the folders are sufficient to not generate problems, they are all my creations by the excellent Murdoc Templates. Re: Escadrille N°108 for "DBW1916"
In DOF mission thread you have the correct Wyllip Folder for BAT, he did what I should have done to verify each mission. thank you very much for your efforts, the first URL is the one available in my account the second URL is its original to overwrite the old one.